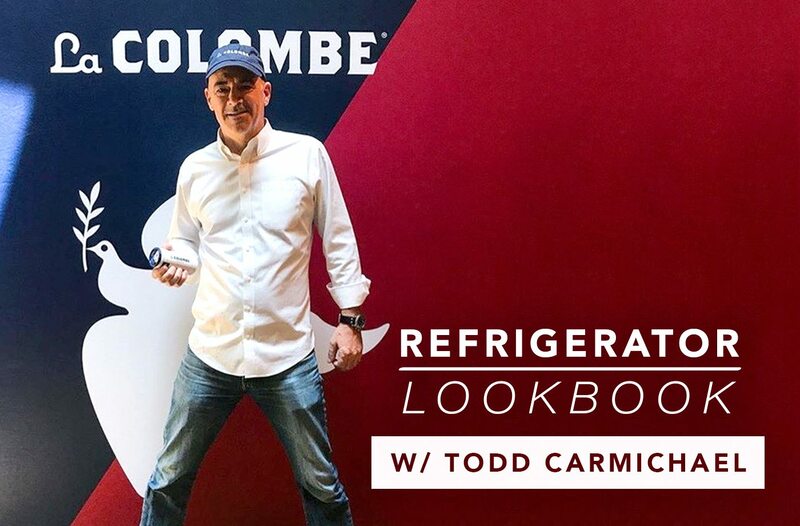 La Colombe Coffee Roasters CEO and co-founder Todd Carmichael doesn’t just have one fridge. He has three. “I have a very big household,” he explains. His clan consists of himself and his wife, four children, a nanny, his mother-in-law, and three dogs—some are plant-based, and some are meat eaters. And that’s who’s gathered around the table on a quiet day. “The kids usually have two or three friends over for dinner, so there can be 10 to 14 people for lunch or dinner at any given time,” he says. Needless to say, Fridays, Saturdays, and Sundays are big meal-prep days in the Carmichael house. During these sessions, meat, pasta, and stir-fry ingredients are pre-cut and cooked to be thrown together throughout the week. 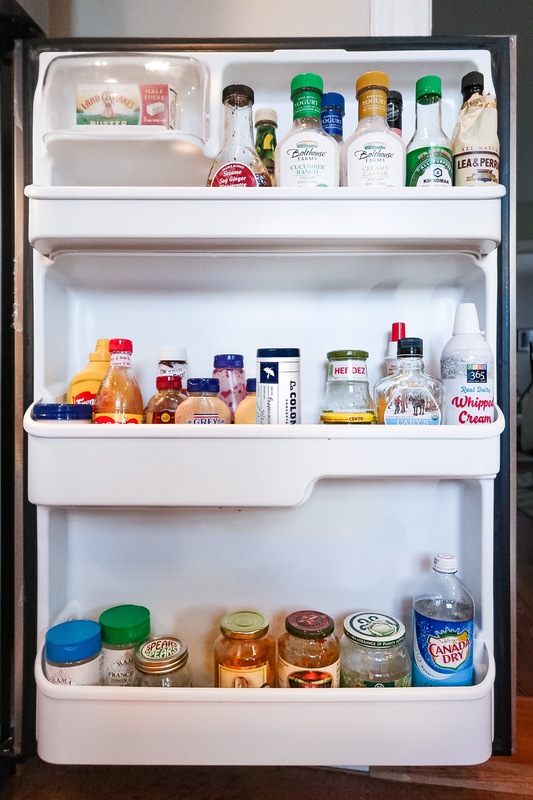 All of that is hidden away in his two secondary fridges, as are “smellier” foods, like cheeses and salamis. 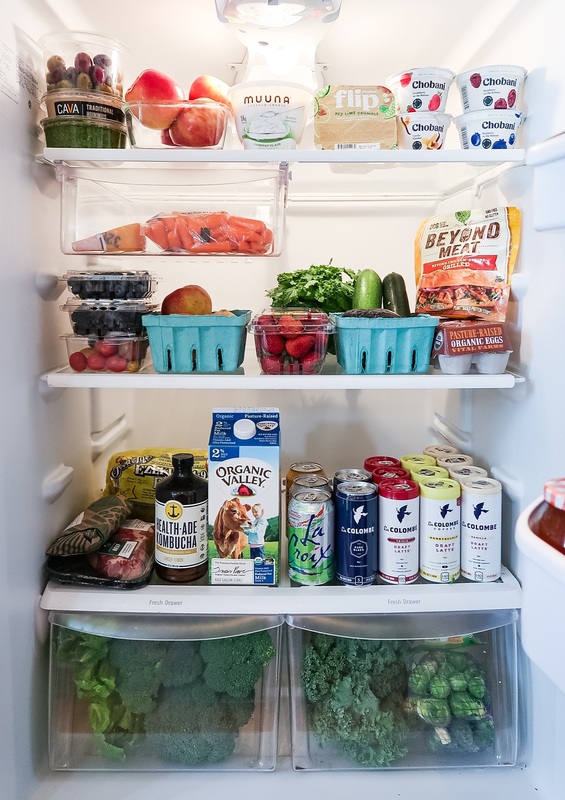 But here, he opens the door to his “on-deck” fridge—AKA the one housing the family’s go-to snacks, coffees (of course), and the fruits and veggies they eat on repeat. Scroll down to see what Carmichael and his big (!) family enjoy on the reg. For the record, coffee is officially good for you. And this is what the whole nitro cold brew trend is all about.